Light. The ultimate design tool: without which space, color, texture, layout, and contour fade from clarity into obscurity. Nothing can immediately transform an environment as adding or changing light sources or lighting fixtures as evidenced at the very start; in Genesis 1:3, God said “ Let there be Light”. The fixture and its customized output infuse; flair, personality, warmth and light into your corner of this world. Optimal lighting design is available through a qualified LED provider. It’s up to you to identify the corner of your world that most desperately is in need of a light makeover. Whether inside or out, commonplace can become fabulous within hours. An uninspiring room or yard can sparkle. An inspired room or open space can delight and memorize. By simply directing the intensity of light with optics and dimmers the transformation is complete and perfectly set to entertain, oversee or secure your wishes. From coach, cable, and chandelier – table, track, and torchier – pendant, path, post: there are endless types and styles of fixtures to choose. The appropriate choice would accomplish your task at hand the most. Over one thousand lighting manufacturers worldwide add to your possibilities. Always remember that you will never experience “how good it could have looked” if your provider is not knowledgeable with the products that are just recently available. Interior or exterior, remodeling with light can awaken the appearance of landscapes, architecture, and kitchens, public places to parking spaces. One can appropriately, effectively and efficiently perform this remodel anytime without damaging surroundings. This remodel also has two a pronged benefit, having both a daytime as well as a drastically different evening effect. 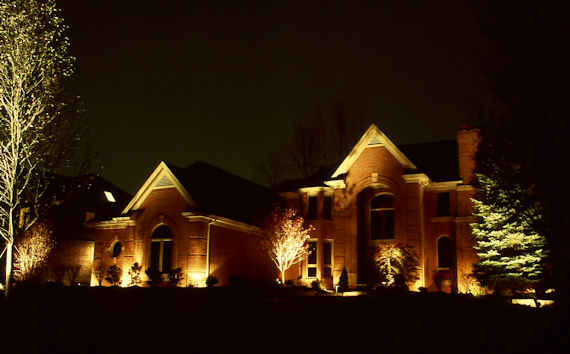 The fairly recent introduction of LED has exponentially increased the potential of remodeling with light. Design options have exploded due to LED’s inherent range of color temperatures / appearance over the breath of available LED light sources. LED sources also provide exceptional light output while minimizing energy usage. A simple acronym for LED, LightingEnergyDesign, will allow immediate recall of its benefits.